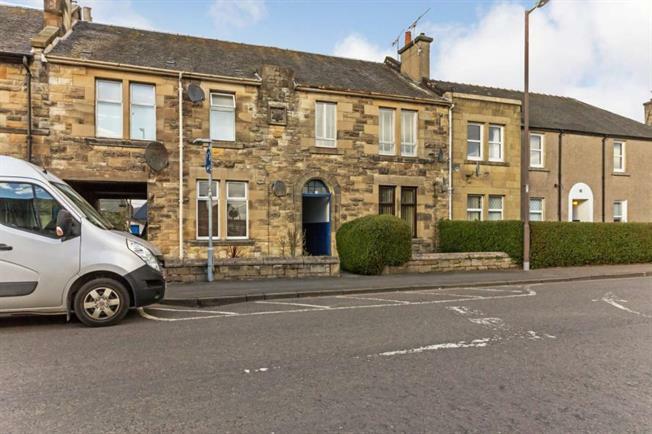 2 Bedroom Upper Floor Flat For Sale in Stirling for Offers Over £140,000. An impressive spacious two bedroom maisonette first floor flat situated in the sought after Riverside area of Stirling with a master bedroom benefiting from stylish en-suite facilities formed from a loft conversion. This attractive flat comprises on the first floor of hallway, well-proportioned lounge, stylish bathroom with over bath shower, bedroom and generously sized kitchen with an array of floor and wall units. Upstairs is a generous double bedroom with contemporary en-suite shower room. The upper level also offers fantastic views towards the Wallace Monument and the Ochil Hills. Warmth is provided by a combination gas central heating system and double glazed windows have been installed. To the rear of the property are well maintained communal gardens mainly laid to lawn. Abbey Road provides ease of access to the superb range of amenities available in the historic city centre of Stirling with high street multiples and speciality shops. The close by Forthside area offers The Peak Sports Village, Vue cinema complex and a selection of restaurants. Schooling is available in the area at both primary and secondary level. For those who have to travel for business, the area is well provided for via the national road network system and public transport services with both Stirling rail and bus stations located nearby. Stirling University is also easily accessed from here.